On June 21, 2002 Israel soldier Kfir Levy’s Givati unit was operating in the Gaza strip, responding to terrorist rocket strikes and artillery fire, when a rocket-propelled grenade designed for use against armored vehicles and buildings struck him directly in the face. Known as “Israel’s worst Gaza injury”, Kfir was in a coma for four months, underwent 130 surgeries, is blind in one eye, requires hearing aids, needs mechanical assistance to walk and is paralyzed on his right side. 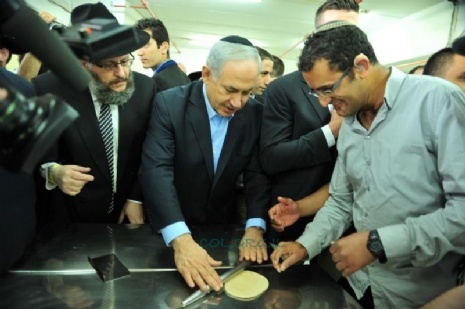 Last week Kfir got to back Matzah with the Prime Minister of Israel. 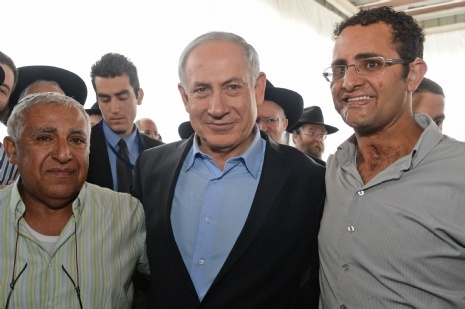 Prime Minister Netanyahu took the time to talk to Kfir and his father Tzion. Kfir told his story and how CTVP was with him from the early days of his injury. The Prime Minister was visibly moved. He told Kfir that the entire nation is proud of him and is with him in his struggles. 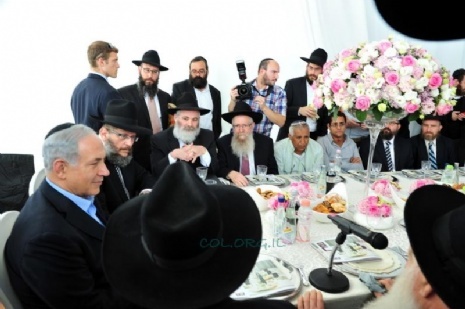 “I know that you will go and celebrate Passover all over the world. I’ve noticed that Chabad does not rest—working 24/7, 365 days a year. All the time. This also warms the heart. 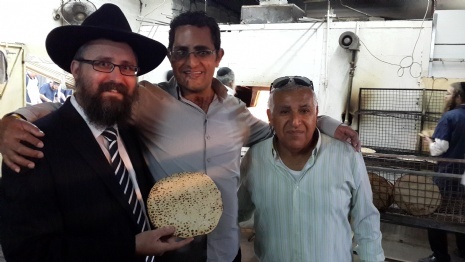 Wherever I go in the world, I meet Chabad chassidim, the representatives of the spirit, the love of Jewish people, the nicest side of Judaism. I want to thank you for that as well,” the prime minister concluded.